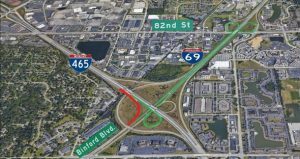 Calumet Civil Contractors plans to begin work this weekend on a $1.7 million pavement repair and resurfacing contract for various Interstate 69 ramps at the I-465 and 82nd Street interchanges on the northeast side of Indianapolis. 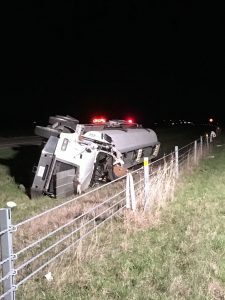 A Markleville man was arrested last evening after he caused a crash on I-69 and fled the scene. Due to the increased and ongoing road construction projects in Hamilton County all major roadways leading to Klipsch Music Center are affected and causing major delays. 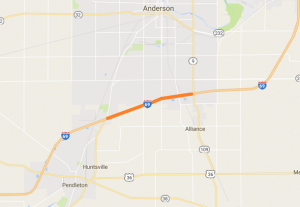 Weather permitting, construction contractors plan to close the right lanes in both directions of Interstate 69 for concrete pavement repairs between State Road 38/Dr. MLK Jr. Blvd. 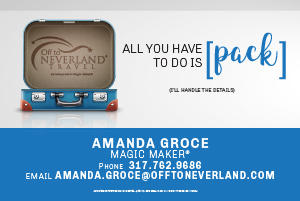 (Exit 222) and State Road 109/Scatterfield Road (Exit 226) on Thursday night and through this weekend. 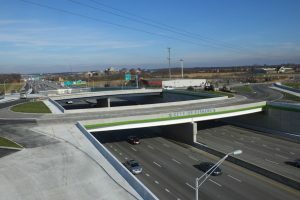 Contractors for INDOT plan to temporarily close lanes on Interstate 69 during overnight hours next week to paint the westbound 106th Street bridge at the newly constructed Exit 204 roundabout interchange in Fishers. An early morning crash has had I-69 blocked in Delaware County and traffic snarled in the area.